A three-story brick house stands at 1175 Shore Pkwy. in Bensonhurst. The house is slightly set back from the other homes on the block, and a brown awning encloses an elevated front porch. Everything about the house would make it seem like any other normal house in Brooklyn, including a two-story garage in the backyard. But this particular location has a rich history, as the garage was once the studio of Armenian artist Ariel Agemian. Agemian and his family were parishioners at St. Finbar parish, Bath Beach, during his time in Brooklyn from 1945 to 1968. He constantly produced works of art in his studio, and some of those works still hang in private homes in the borough. 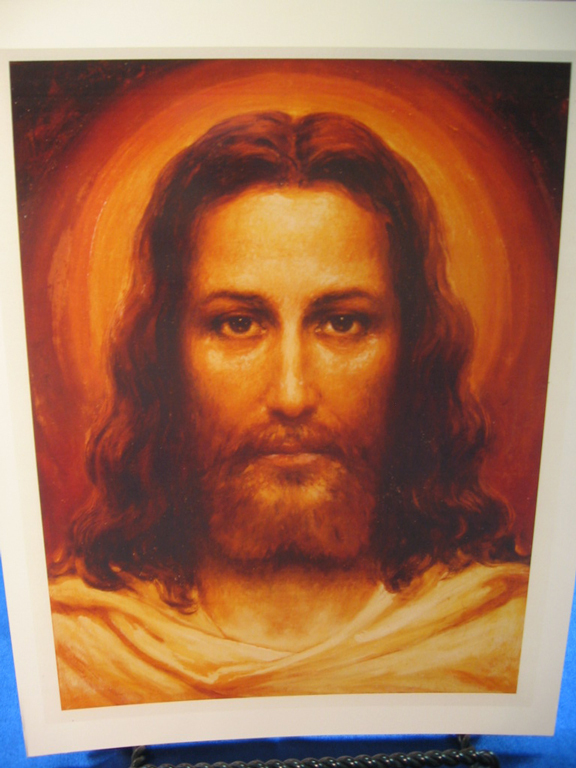 From the time he set up his Brooklyn studio, Agemian – who became an American citizen in 1943 – began to work for the Confraternity of the Precious Blood, a publishing house located at Precious Blood Monastery in Borough Park. 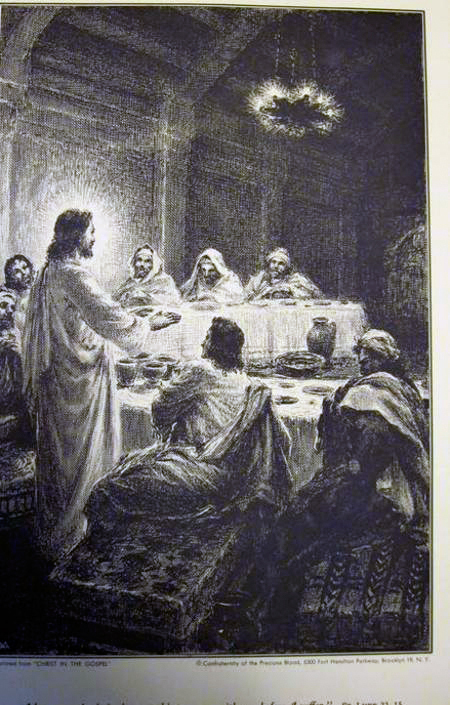 He sketched over 500 illustrations in 15 years for books that included Christ in the Gospel, My Daily Mass, My Daily Psalms, My Imitation of Christ and My Meditation on the Gospel – the latter three of which continue to be published to this day. These books are still circulated around the globe, meaning Agemian’s sketches have been seen on every continent except Antarctica. The Confraternity has kept copies of many of Agemian’s illustrations. He would sketch a large-scale drawing that would be shrunk to size to fit the prayer handbooks. Agemian was honored to be knighted by Pope Pius XII into the Order of St. Gregory in 1959. He considered this the highest honor bestowed upon him in his lifetime. His daughter Annig Raley still has the medal hanging on the wall in her Glenwood Springs, Colo., home. She and her husband Howard presently serve as the curators of the artist’s personal collection. Though the couple is based in Colorado, Raley’s memories of her father and her life in Brooklyn are still fresh in her mind. His artistic career flourished long before he arrived on American shores. Born in Brussa, Turkey, Haroutin Pascal Agemian – known as Ariel – had a rough childhood. At age nine, he witnessed the death of his father in the Turkish Massacre. He was later separated from his mother and brother and taken by the Mekhatarist Monks to the Collegio Armeno Monastery in Rome. In 1926, he graduated from the Venice Academy of Fine Arts, Italy, with a degree in “Maestro d’Arte.” He continued to hone his talents at Moorat College in Venice and then earned a doctorate in philosophy from the University of Padua, Italy. Agemian worked and taught in Italy until 1931 before bringing his talents to Paris, where he set up his own studio. For the next seven years, he was a portraitist and landscapist who mainly painted secular portraits of prominent figures from the 1930s. His works earned him two gold medals from the Association Artistiques in Venice and Artisites Critiques in Paris. Agemian is most known for his 1935 painting entitled “The Face of Christ.” He studied the image on the public exhibition of the Shroud of Turin and produced what scientific experts claim is the most exact positive image from the negative image on the shroud. 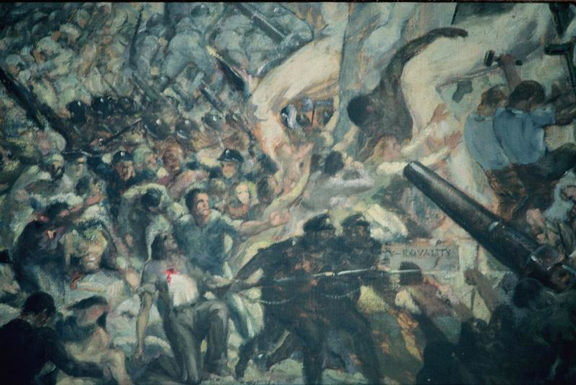 Another of Agemian’s notable works was his 1938 painting entitled “Twentieth Century,” in which he predicts U.S. involvement in World War II. However, since he completed the work three years before the Japanese attack on Pearl Harbor that signaled U.S. entrance into the war, Agemian received harsh criticism for his work. Raley said that American critics at the time were dumbfounded that a European artist would be so bold as to forecast such a tragic event. But looking back at history, Agemian was correct in his assessment that the U.S. would join the war. However, in 1937, his uncle, who was a Catholic priest, died of an epileptic seizure. Agemian was devastated, which led to his decision to take 75 of his favorite paintings with him on a ship and head for America. The Armenian community in New York City arranged a showing for Agemian to display his works. The artist originally came to New York hoping to study the American people to gain an intimate understanding of democracy. He expected his trip to only last a few months, so he left the bulk of his art works in his Paris studio. His 1939 exhibit was described as “one of the most extraordinary assemblages to be seen on art gallery row in a long time.” Critics in France and Italy called him the “artist-poet philosopher,” and that reputation followed him to America. Yet in New York, Agemian began changing his medium and subject matter to mostly religious works. He had nourished a priestly vocation from a young age, so he decided that he would love God through his artwork. Instead of oils and pastels, Agemian’s specialty became images drawn with pen and ink and even chalk images on dark paper. A few months turned into a few years in New York for Agemian, and he married Maria Roxas in June, 1939. In 1941, they had a son, Stefan, who had cerebral palsy. He was scheduled to make his return trip to Paris in 1942. But fate had different plans, as the ship – the S.S. Normandie – caught fire in New York Harbor. Agemian never again attempted to return to Europe. After he and his wife welcomed their daughter Annig in 1943, Agemian set up his garage studio in Bensonhurst. The Agemian household was adorned with countless paintings, and in fact, the family never painted a wall since works of art covered all the open space. But even with all these paintings and sketches, Agemian chose not to sell most of his works. “He often said, ‘If people like my work they need not buy it; just come to our home and I will share my art with you,’” Raley said. Visitors constantly came to admire the paintings, but since the works were not displayed publicly, many of Raley’s childhood friends got the wrong impression of her father’s profession. Agemian sketched daily in his studio – a two-story structure with a glass rooftop that allowed in natural light, which is essential for an artist. While Agemian worked at home, his wife Maria cared for Stefan. She also was an artist, and her works would appear on the front page of St. Finbar’s bulletin each week. Raley recalls standing as the model for her father’s paintings. Agemian had garments relating to biblical times, and his wife would serve as the model for the Blessed Mother. “He (Agemian) would drape them (the garments) around us and extend our posture so that it would manifest what he wanted in the painting,” Raley said. The family was devoutly religious, which kept with the theme of Agemian’s paintings. He sent his daughter to all Catholic schools including Visitation Academy, Bay Ridge; Fontbonne Hall Academy, Bay Ridge; and Anna Maria College, Paxton, Mass. In 1963, a massive stroke took Agemian’s life with his family by his side. He was posthumously honored in March, 2012 as a distinguished alumni by the Mekhatarian Alumni Association. When trying to determine the exact location of the majority of her father’s works, Raley said it is virtually impossible to track them since he left so many paintings in Paris. She has copies of about 50 paintings, but she now is only concerned with the paintings she knows about. Churches in Paris, Vienna, Venice, Rome and Arnouville, France, proudly display Agemian’s works. 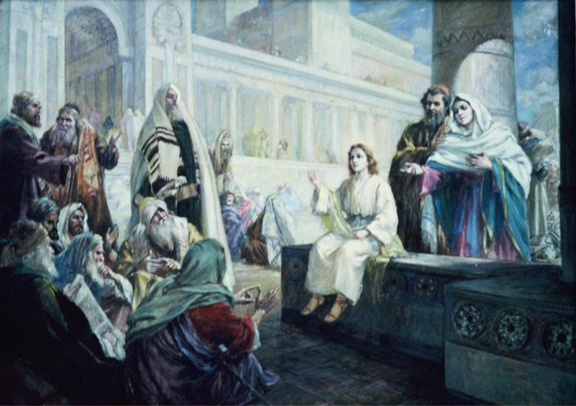 His painting “Christ in the Temple” was donated in 2011 to his daughter’s alma mater, Anna Maria College. The largest concentration of his works in the U.S. is located in New York City, Philadelphia and Boston. To celebrate his Armenian heritage, Agemian felt compelled to donate many of his works to Holy Cross Armenian Catholic Church in Belmont, Mass. In addition to paintings, he carved the altar, tabernacle, candlestick holders and Stations of the Cross that still adorn the church. While his works are displayed across the nation and the globe, Agemian’s time in Brooklyn fostered the religious spirit that was so apparent in his works. And it all happened right at 1175 Shore Pkwy. in Bensonhurst. “Twentieth Century,” in which he predicts U.S. involvement in World War II and for which he was severely criticized.